What’s happening, craft beer lovers of RVA?! Welcome to this week’s RVA On Tap, RVA Magazine’s weekly column for all your craft beer-related events, releases, festivals, and all the booze news your hearts desire. If you missed the last column, you can check that out here. Our kegs are overflowing with news this week, from beer releases to festivals, events, and other cool happenings around town — so hold on to your mugs! IT’S HALLOWEEN! Hallelujah! It’s Lucky Number 13 for the Richmond Halloween Parade, which is going down in Oregon Hill tonight. Meet up in Monroe Park at 7, and bring your puppets, bring your props, dress to impress: the citizens are the parade for this RVA Halloween tradition. 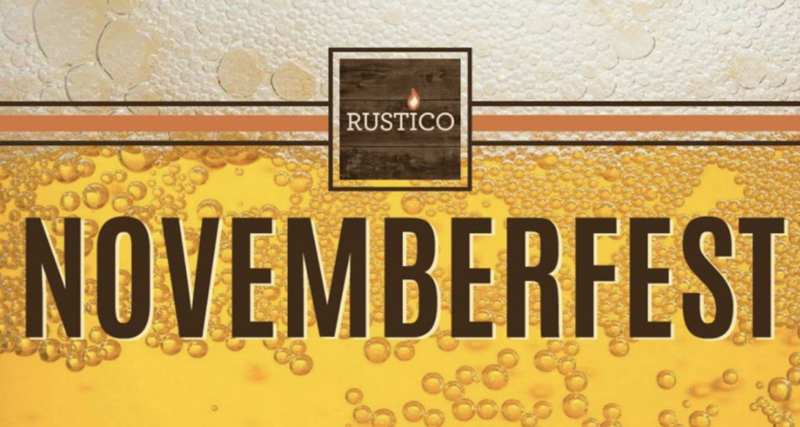 Once you’re done at the parade, the city’s got a ton of great beer releases, bar crawls, and events to keep your juices flowing through the week and say hello to November. Does playing music at plants really affect how they grow? Does blasting metal at pumpkins change how they taste? Strangeways set out to find the answer. Porter season is the best season, and these guys know it. 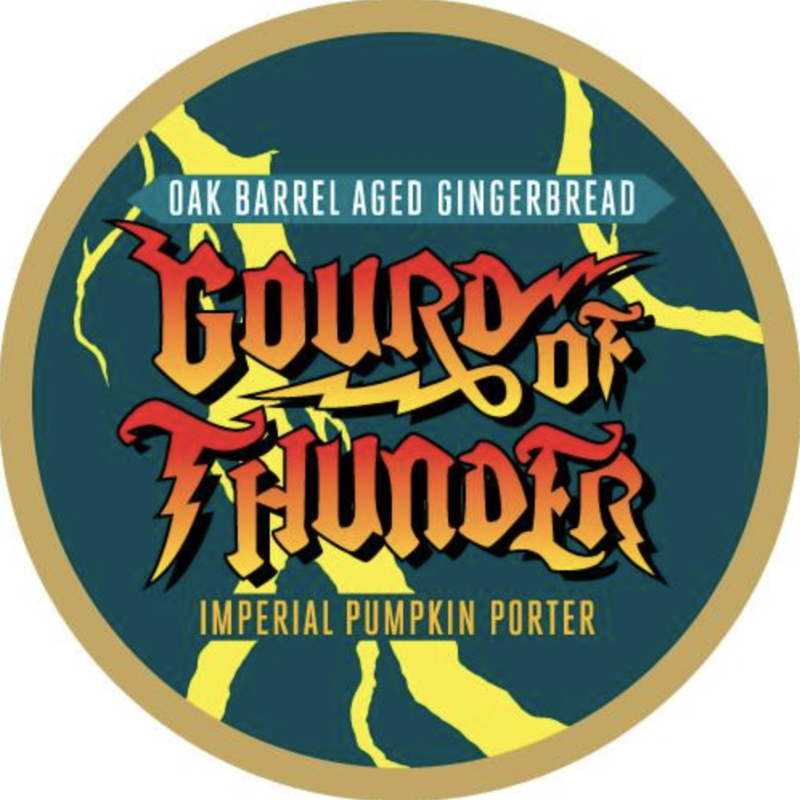 This Saturday, Gourd of Thunder returns, made with freshly-picked local pumpkins that were ripened on the vine “while continuously listening to heavy metal.” It was created to cataclysmically blow your mind with its face-melting, high-voltage attitude (not unlike myself as a kid, S/O to my mother for her troubles). This malty-pumpkin fuses with a milky sugar creaminess, packed with bourbon vanilla beans to drive the cinnamon, ginger, and clove spices right through your skull (sweet!) and aged in oak barrels. Headbangers Unite! My fav is back, and there’s a whole bar crawl to drink it at! “Pull out that bathrobe grandma gave you last Christmas, and strut your stuff in Carytown” for the Big LeBYRDski Fest in honor of 1998’s best movie. Grab a Center of the Universe (COTU) El Duderino, the famous White Russian milk stout (yum! 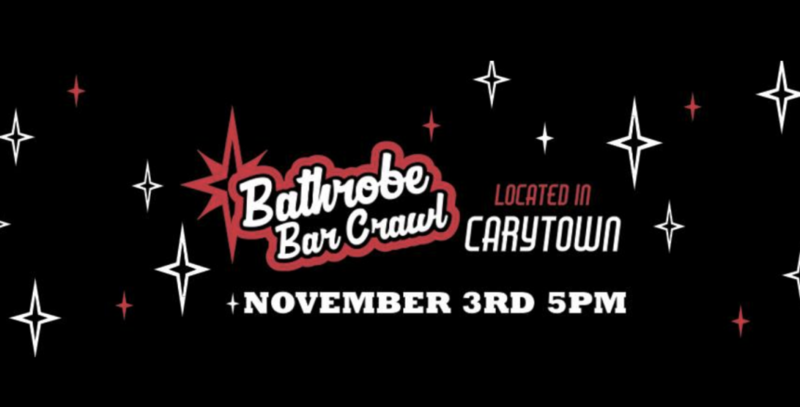 ), featured at this weekend’s Carytown Bathrobe Bar Crawl because “It’s how the Dude would want you to roll.” The crawl hits Citizen Burger Bar, Burger Bach, NY deli, Mellow Mushroom, and RVA Draft Room, and it’s topped off at the end with a showing of The Big Lebowski at the Byrd Theatre. I can’t imagine a more perfect day. Speaking of COTU, a brand-new brew is on its way from the Ashland spot this Saturday for the Donny Coffee Brown Ale release. This whole week is full of brews right up my alley, and Donny doesn’t disappoint. This Southern-English style brown is brewed with Lamplighter Coffee’s cold brew, and its smooth, velvety flavor is topped off with toffee and caramelized sugar notes. COTU says it’ll remind you of carefree coffee dates with your closest nihilist buddies — truly a pastime at Lamplighter. Donny is brewed with Maris Otter, Crystal 120, Crystal 77, Flaked Barley and Flaked Oats, and balanced with Perle hops and Richmond’s favorite coffee company. Is everyone this into fall beers, or is it just me? Here’s another drool-worthy brew this week, Castleburg’s mOatmeal Stout. For a stout, it’s light, creamy, and pretty low in ABV — at 5.5%, it’s suitable anytime and sounds like an English dream. Dark, rich, malty, and full of chocolate, coffee, and fruit. This stout is brewed with Cascade and Willamette hops, dark roasted malts, and traditional English yeast to round it out, according to the brewers. It’s also gluten-reduced, so all of you watching your waistlines can enjoy it before America eats its weight in food for good ol’ Thanksgiving tradition a few weeks from now. 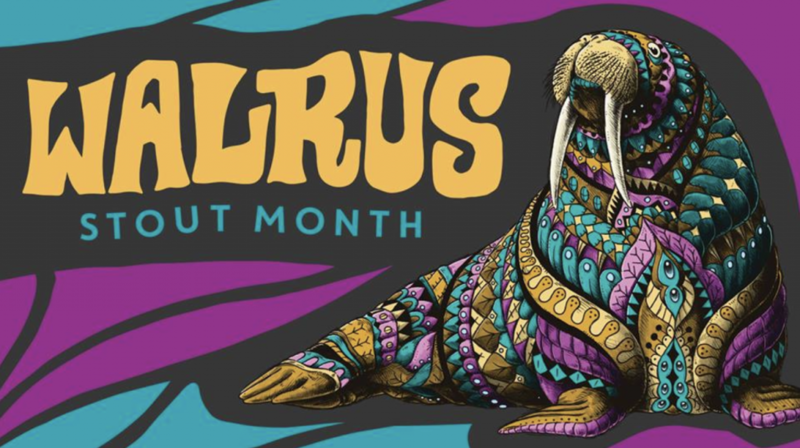 Vasen is ahead of the winter game, with a full-on Stout Month called Walrus Series. The heavy beers are certainly comparable to this monster of the animal kingdom, and they’re paired at Vasen with Intergalactic Tacos and trivia from Geeks Who Drink for the release party tomorrow night. These beers come in four varieties: the Wired Walrus, the Imperial Walrus, the Whiskery Walrus, and the Sour Cherry Walrus. Vasen’s also partnered with Mustaches for Kids Richmond, and brewed a special Cancer Gose Bye Bye with the organization. The benefit-collab beer will also be on tap tomorrow evening, and the brewery is donating 20 percent of its sales to the nonprofit: so go drink for a good cause! 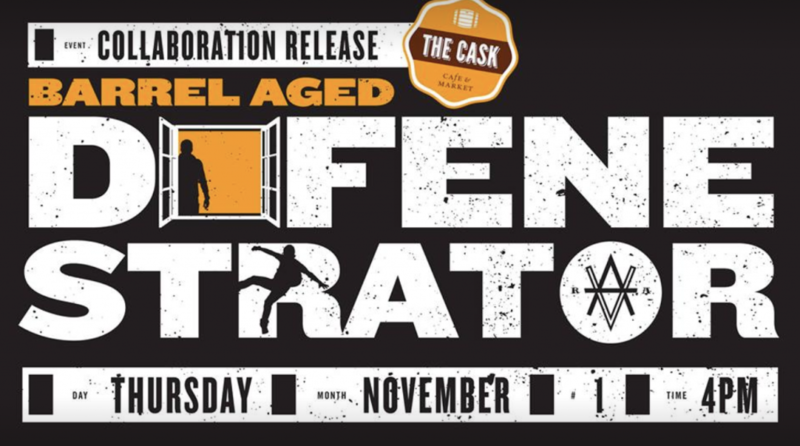 Everyone’s favorite south Robinson Street spot paired up with Ardent to come up with the Barrel Aged Defenestrator. The Cask had a hand in this doppelbock-collab, which is lagered for 10 months in bourbon barrels. Its 10.4% ABV has the same malty base and stone fruit as the beer’s original version, but with some extra bourbon and oaky flavor, according to the brewers. Come out to The Cask Thursday night to give it a try with The German Snack Shack on-deck. 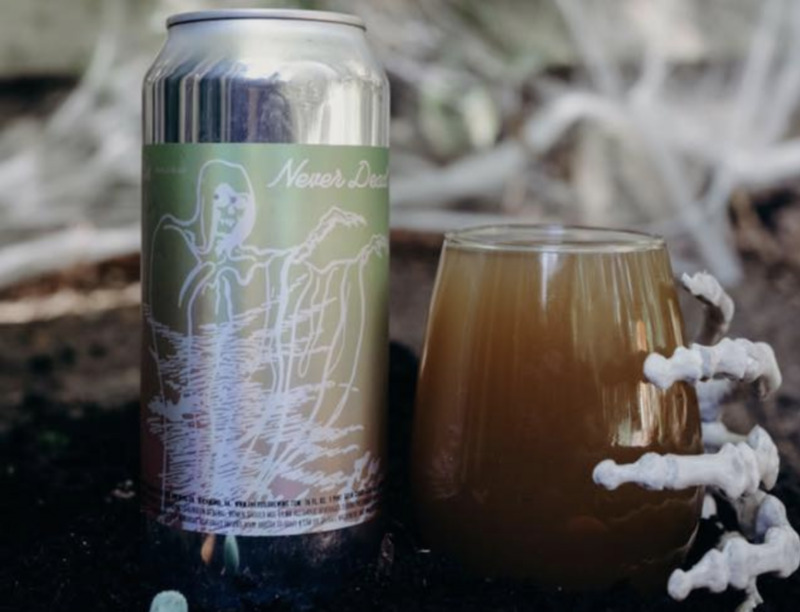 PHOTO: The Veil Brewing Co.
Never Dead returned at The Veil Brewing Co. last night, so get ‘em while they’re hot (cold)! This All Hallow’s Gose Ale with sour candy has “Pillowcase after pillowcase of Sour Patch Kids and Sour Gummy Worms.” Its brewers say it tastes like a sugar-filled night of mischief and mayhem, and we all know The Veil’s best brews don’t last long — so swing by while they’ve got them. You can also buy this one in cases, and there’s a one-case or six 4-packs per person limit on purchase (so if you’ve got a sweet tooth, don’t expect to go snatching them all up from the rest of us). Triple Crossing is opening its doors once again for its ⟁Covenant Beer Fest⟁ in Fulton. 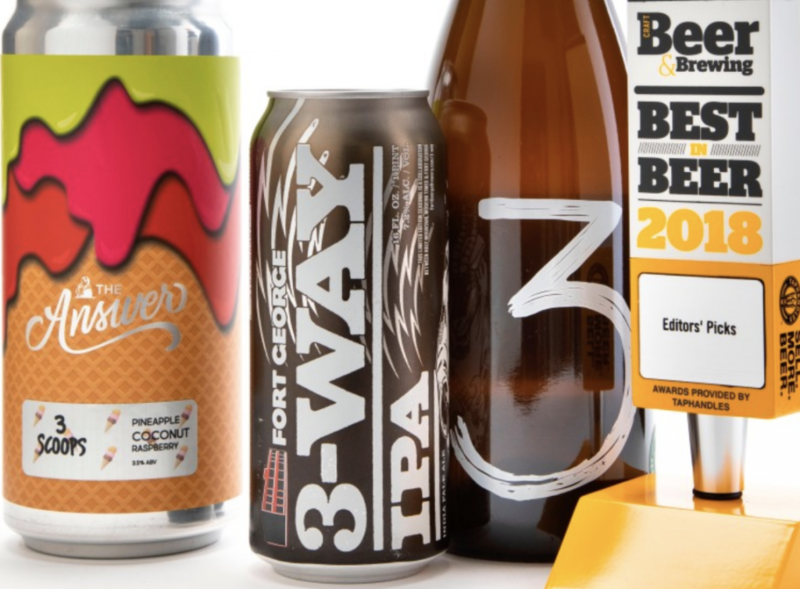 The brewery is hosting 19 world-class brewers and separate can release event the night before on Friday. At the festival, the entire Fulton Brewpub will be open and tickets can be purchased beer-by-beer during the event. 3 Scoops is a fruit smoothie beer with a daiquiri consistency, and comes in flavors like Passionfruit/Lemonade/Mango and Raspberry/Strawberry/Rhubarb. With these fruit blends, The Answer has “expanded the idea of what beer can be” to Beer and Brewing Magazine. If you’re traveling this weekend, be sure to hit up Novemberfest in NOVA. The Alexandria event features a ton of Virginia brewers, with RVA favorites like Ardent, Blue Bee Cider, Final Gravity, Hardywood, The Answer, Triple Crossing, Väsen, and The Veil — plus a bunch of other great ones throughout the state. The outdoor block party has more than 80 local beers and ciders total and sounds like a blast, so check it out if you make your way up north. That’s it for this week’s RVA On Tap! As your new weekly columnist, I’m here to take all your beer releases, event info, ideas and questions. If you’re a brewer, send me your release info at [email protected], and if you’re a beer enthusiast, drop me a line anytime to talk booze. Catch y’all next week!